By being yourself, you put something beautiful into the world that was not there before. 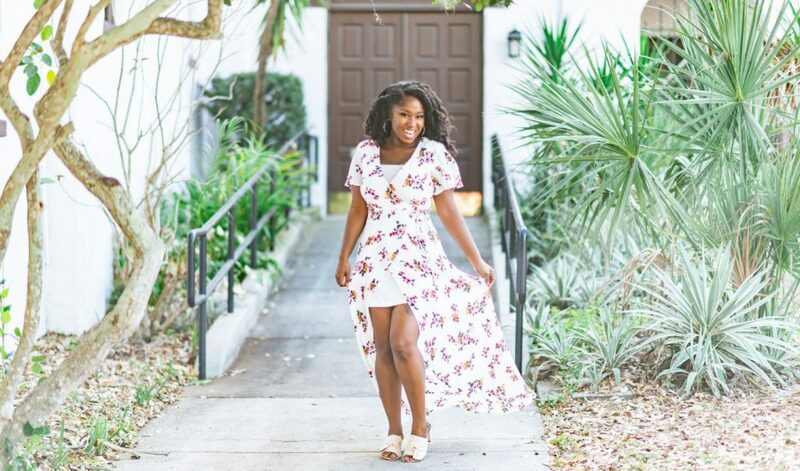 Breonna Queen is a content creator and brand strategy consultant who loves dogs, the beach, entrepreneurship and chocolate. She’s a Louisville, KY native (GO CARDS!). Who, after a few too many cold winters, headed south to call sunny Tampa, FL her home. With a bachelors in advertising and a MBA, Breonna has worked over a decade in digital media helping businesses grow their online presence and brand. While working in the digital marketing field, she also created her popular Youtuber Channel. In Breonna’s spare time, she loves gardening, cooking and playing with her two Yorkies . You can catch Breonna at the beach, at brunch and 87% of time with some lip gloss on. When Breonna is not gardening, working with clients, curating workshops or curled up with a good book, you can catch her volunteering and working with different organizations around the Tampa bay area (such as Pinellas County Urban League Young Professionals and Women By Choice). 1. I grew up in Louisville, KY; raised on books, collared greens, God and soul music. 2. I consider myself an outdoorsy diva. I love gardening, nature walks, and the beach. It’s probably one of the main reasons why I moved to Florida a few years ago. The beach is my happy place. 3. I truly believe life is like a box of chocolate …and I really like chocolate (Grimaldi sea salt dark chocolate if we’re being specific). 4. I kinda have an obsession with jumpsuits and sunglasses. Even better if the jumpsuits are floral or tribal print! 5. I’m a digital strategist, content creator, speaker and author but beyond the titles, I’m just girl who loves creating and empowering. I love seeing people do things that make them come alive. 6. Pink is my power color. 7. I’m a dog mom to 2 very spoiled (and super cute) Yorkies. 8. My friends consider me a certified hype-(wo)man. Feeling insecure? Here I come with the energy of a hype-man at a 90’s hip hop concert ready to pounce on cue. Ayeeeeeeee! My email newsletter all about being your best self in business and life!